The Strain begins to set up the events for an epic showdown between Eph, Nora, Abraham and Mr. Fet again The Master, Eichhorst and Palmer. This week Eph struggles with the realization that Kelly may be lost when he discovers the bodies of her best friend Diane and her son. 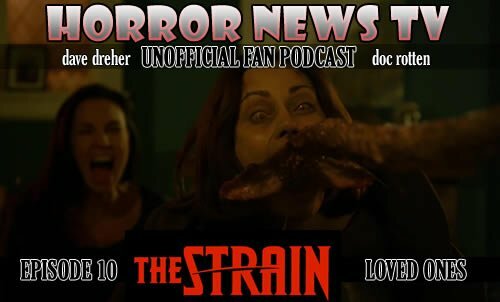 Fet and Dutch pay a visit to Palmer but are surprisingly released by Mr. Fitzwilliams, Palmer’s right hand man.Â Â Doc and Dave have lots to discuss as the recap episode 10Â ofÂ The Strain.